The Tommy Igoe Groove Conspiracy, the drummer/bandleader’s 15-piece collective, is all about big: big band, big sound, the big buzz they’ve generated during their Tuesday-night residency at Yoshi’s in the Bay Area. The band’s self-titled debut recording doesn’t stint on size, either. It’s a bold, brassy collection of R&B and funk-inflected tracks with no shortage of speed, soul and swing. Igoe’s drumming, splashy and full of hard-hitting runs, solidly supports the ensemble, but the bandleader is happy to largely cede the spotlight to a gifted collection of musicians. 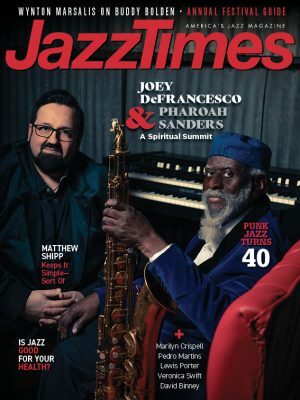 Standouts include trombonist John Gove, whose fat tone and nimble slide work liven up Bob Berg’s “Friday Night at the Cadillac Club”; trumpeter Dave Len Scott, doing Arturo Sandoval proud on the Cuban maestro’s exultant “Caprichosos De La Habana”; and alto saxophonist Marc Russo, who wails jubilantly on “Mercy Mercy Mercy” and “Let the Good Times Roll.” Russo is joined on the latter by guest vocalist Kenny Washington, who also rings forth with a joyful wordless solo on “I Didn’t Know What Time It Was,” his crystal-clear voice a pleasing contrast to Aaron Lington’s deep-in-the-pocket baritone sax. 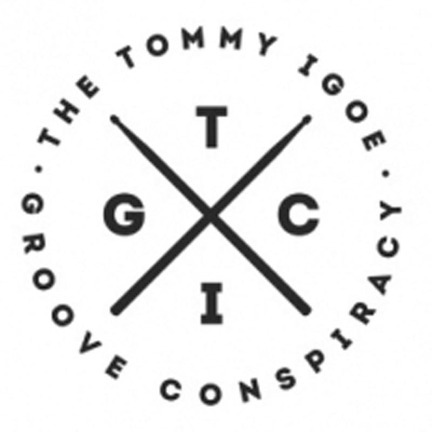 But thinking back on The Tommy Igoe Groove Conspiracy, it’s less the solos one remembers than the sheer driving force of the booming unison brass-and-reeds arrangements. Whether darting their fleet-footed way through the intricate lines of Joshua Redman’s “Jazz Crimes” or having a ball on guest bassist Michael League’s (Snarky Puppy) richly funk-ified “Quarter Master” (on which Igoe cuts loose with a ripping march-cadence solo), the TIGC brings high-flying energy and exhilarating musicianship to the table.